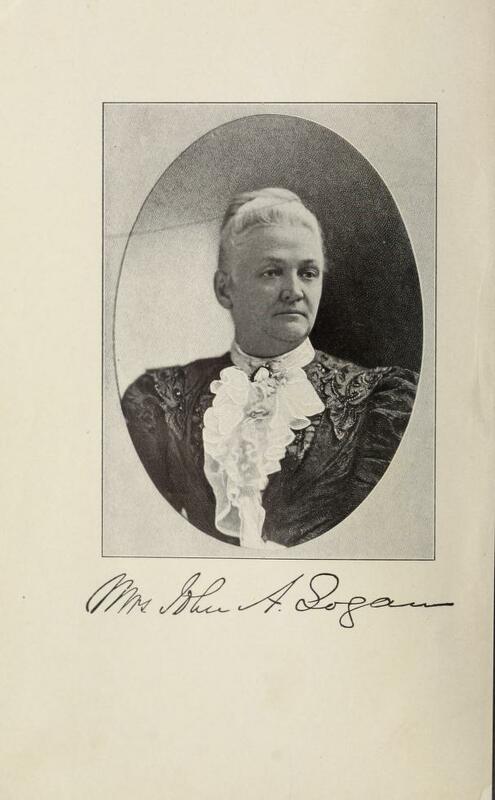 Thirty years in Washington was penned by Mary Simmerson Logan (“Mrs. John A. Logan”) in 1901. At the time of her writing, Logan had been a resident of the District of Columbia for over thirty years, hence the title. She first arrived in the city when her husband, General John Logan, was elected to Congress. 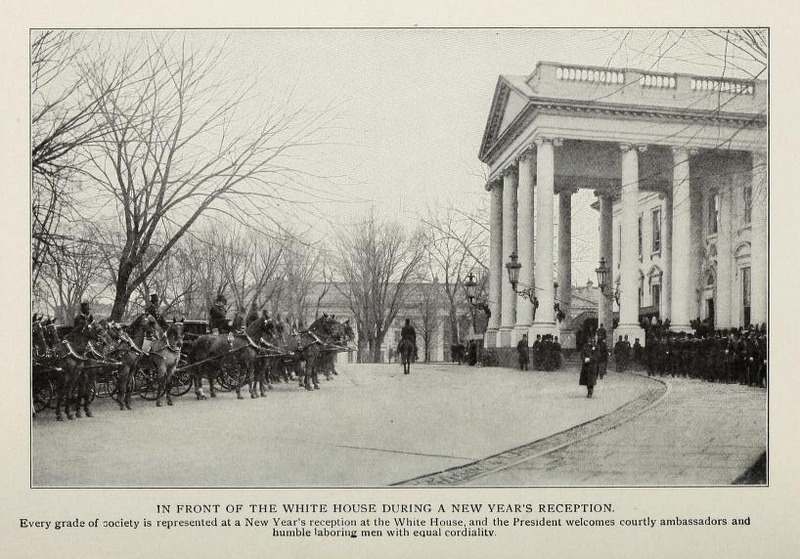 D. C. residents may recognize the Logan name – it was after the General that Logan Circle was named. 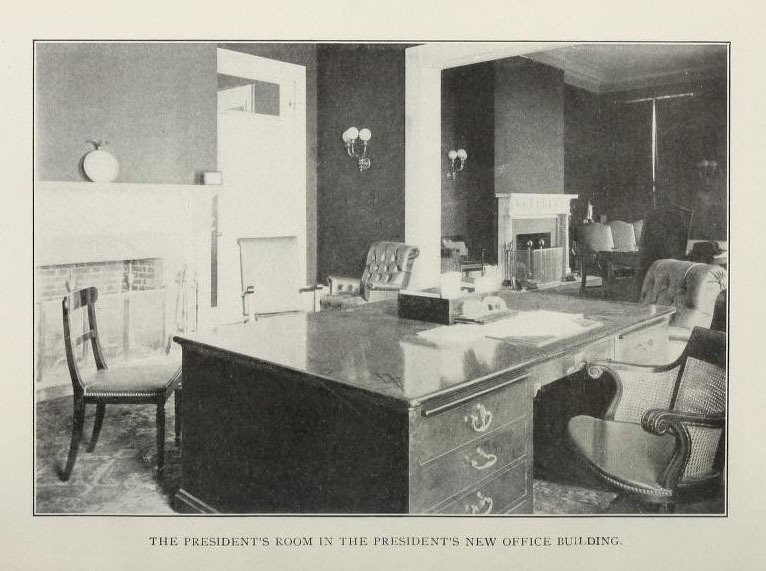 Much of the book is dedicated to biographical sketches of each president and his first lady, the Washingtons through McKinleys, and their effects on this great city. Logan also gives a comprehensive tour of the White House, describing daily life as well as the decoration and function of various rooms. She also visits Mount Vernon, home of our first president George Washington, honored on today’s national holiday. 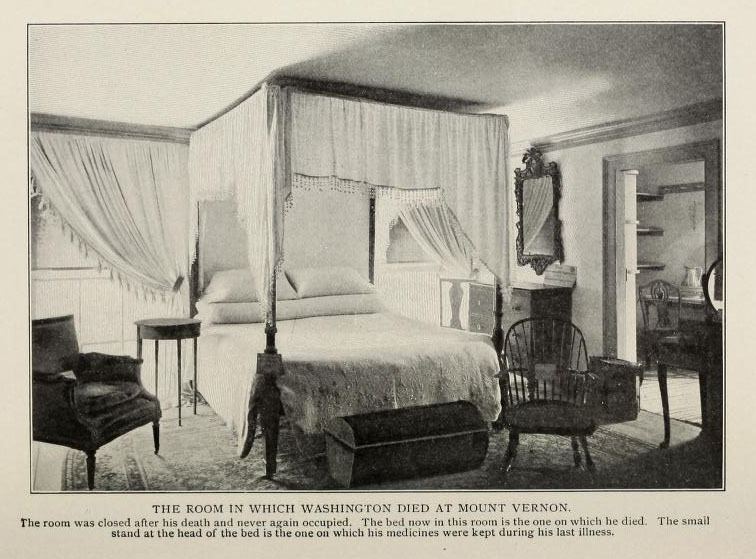 Featured in the book is a photograph of the room in which he died. However, Logan doesn’t focus solely on the presidency. With her book, she “endeavored to meet the demand for a story of the birth and growth of our National Capital”. She functions as a tour guide around the District, giving peeks at other local attractions and government offices, including the Capitol and the Patent Office. If you’re enjoying the day off, consider taking an insider’s tour of Washington, D.C., from the comfort of your living room and a 100 years in the past. You can view the entire book on our Digital Library here.